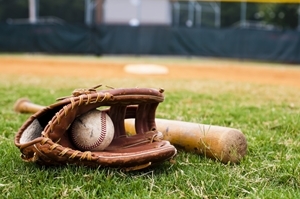 With Major League Baseball's opening day fast approaching, you might notice a late addition to your favorite team's roster. While this player can't necessarily take the field or hoist a bat, it certainly has the potential to change the way your hometown team plays ball. Thanks to a freshly-penned deal with Apple, the league will bring new iPad Pro tablets to dugouts in every stadium this season, marking a softening of the rule that has long prevented coaches and players from using laptops, smartphones or tablets after the first pitch. In addition to rugged, branded cases, the 12.9-inch devices will be equipped with a customized "MLB Dugout" app that can provide scouting information and video for in-game analysis. The MLB and Apple worked together during the offseason to create the app based on feedback from limited testing with iPad Air 2 tablets last year. "Our collaboration with Apple on the use of iPad Pro in dugouts and bullpens is part of our ongoing effort to introduce extraordinary technology into our game," said MLB Commissioner Rob Manfred on MLB.com. "We are pleased that Apple's groundbreaking products, which have already improved the access that fans have to our sport, will now inform the decisions that make our games interesting and exciting throughout the year." While the league has been willing to innovate and absorb technology to a degree, there are some aspects it still wishes to keep out of America's pastime. The tablets will not be allowed to connect to the Internet or stream video during games. Instead, they will sync with locally available data before each game via network cables installed in home and away dugouts during the offseason. Not only will they give coaches and players quick access to information that once had to be printed, stored and accessed in clunky binders for each game, but they make data come alive in new ways. For example, the iPad Pros will use specialized tracking technology to analyze pitch-by-pitch situational data from last season, giving coaches the opportunity to make game-time decisions aided by on-demand data. As a number of news sources have pointed out, the deal is reminiscent of Microsoft's contract with the National Football League, which put the Surface tablet on the sideline of gridirons around the country. While the Microsoft deal requires every league coach to use the technology, however, Apple's partnership with the MLB simply makes the tablets available to those who choose to use them. To help your employees take advantage of the same technology they use in the big leagues, contact MC Services today. Our certified IT consultants can provide Apple support and training to help you build a more productive workforce.